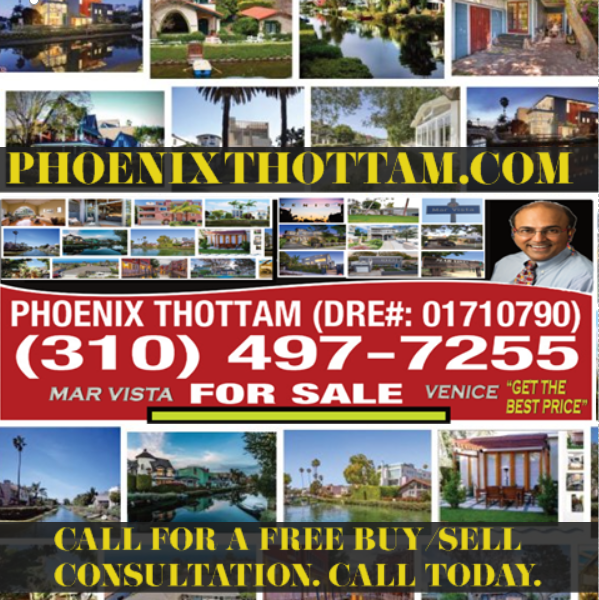 Phoenix Thottam's professional passion as a California licensed Commercial (Retail/Multifamily) and Residential Broker Officer Associate is to ensure that his clients have prompt access to the best real estate & brokerage advisory experiences available so that they can meet their pricing and investment/portfolio goals. Mr. Thottam has a JD from UC Berkeley (1999 - Licensed Real Estate & Business Attorney) and am MBA from UCLA Anderson's full time MBA program (2006 - Real Estate & Finance Focus). He helps his clients develop customized Buy/Sell strategies that leverage negotiation and market pressure points. The goal is to efficiently & timely obtain for his clients win-win solutions & make sure that that they get your problems solved and their "best price" objectives as closely fulfilled as possible. FREE VALUATION ANALYSIS: Call Phoenix today to talk about your options. His commission rates are very competitive (as low as 3%) and he is laser focused on getting you to your personal Buy/Sell goals. Phoenix can be reached at (310) 497-7255. Call today for a free consultation.